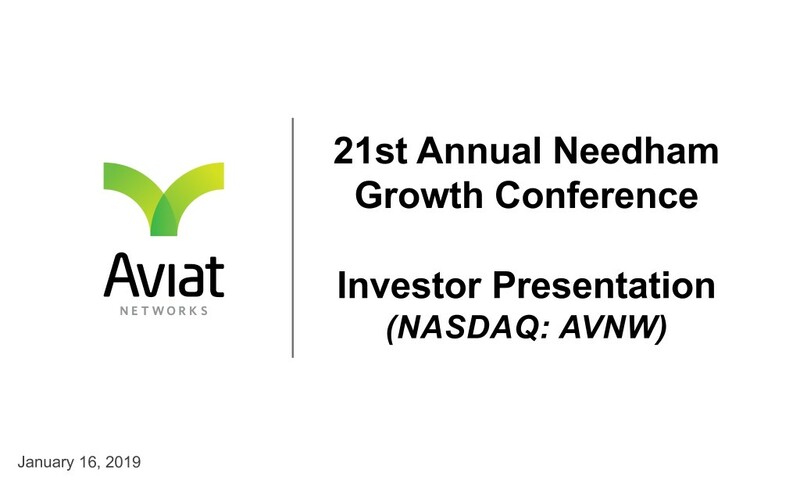 On January 16, 2019, Aviat Networks, Inc. (the “Company”) presented at the 21st Annual Needham Growth Conference. A copy of the Investor Presentation (filed as Exhibit 99.1) and the transcript of the presentation (filed as Exhibit 99.2) are included in this report. The information in this Item 7.01, Exhibit 99.1 and 99.2 hereto, shall not be deemed to be "filed" for purposes of Section 18 of the Securities Exchange Act of 1934, as amended (the Exchange Act), or otherwise subject to the liabilities under that section, nor shall it be deemed incorporated by reference in any filing under the Securities Act of 1933, as amended, or the Exchange Act, regardless of any general incorporation language in such filing. The Investor Presentation refers to certain non-GAAP financial measures. 99.1 AVNW Needham Growth Conference Investor Presentation. 99.2 AVNW Transcript Needham Growth Conference. Great. So, my name is Alex Henderson. I’m the Networking and Security Analyst at Needham. 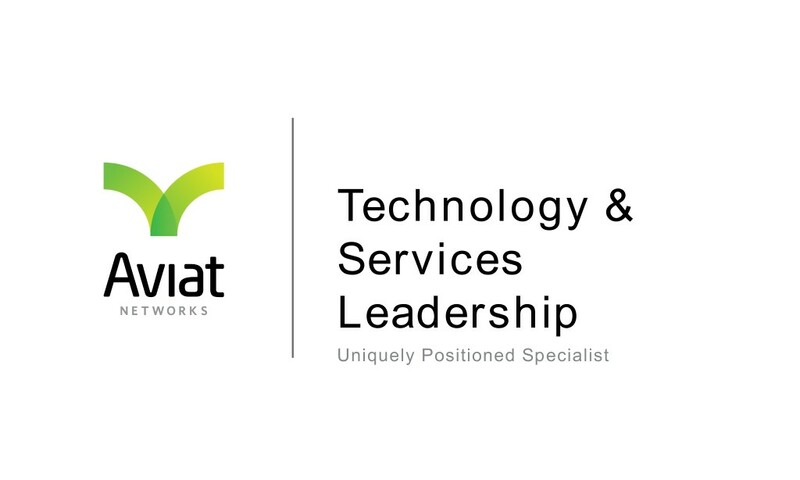 It’s a pleasure to have Aviat Networks here today. It’s a fun of visiting the company. The day you guys reported your quarter in August. Earlier in that morning, I had gone to visit Zscaler was selling it about 15 times EV-to-sales and I come over and visit with these guys, and they’re selling it was 0.5 times, or 0.15 times EV-to-sales. So clearly, a very attractively priced name, a company that’s profitable, normally, you do not see companies with profits and that kind of valuation. I think the company doesn’t get enough credit for what it’s doing and it’s a pleasure to have you guys here. Mike Pangia, the CEO is going to through a presentation. Okay. Also with me today is our Chief Marketing Officer and Senior Vice President, Corporate Development Strategy, Shaun McFall. He’ll also be joining me in the presentation here. So, let me just thank Alex and the Needham team for being here. It’s been a couple of years, I think since we’ve been at this event and I look forward to talking more about Aviat Networks. Before starting the formal presentation, I draw your attention to the Safe Harbor language regarding our forward-looking statements. Okay. So, I guess, Alex already highlighted some of the valuation metrics associated with us. But I did want to start out by saying that over the last few years, the company has come a long way. We strengthened our foundation considerably, although this has not been reflected at least in our current valuation. We are a leading provider of microwave networking and wireless backhaul in the broader transport market, transport segment. We are one of three specialists that I would consider to have global scale. But what makes us unique and sets us apart from the other specialists are we’re the only ones that have a heavy footprint in the U.S. in particular in the private networks vertical. And more specifically, we have the technology and services breadth that can adequately address the mission critical nature of this private networks business in particular areas like public safety. We do have several Tier 1 mobile operators across the Globe, also that we serve as customers. We do operate in a large market. There are several catalysts for growth, which we’ll go through. And we have also successfully realigned our business. Our bottom-line performance has been significantly better than it has been in the past and we just reported back in November, our first quarter fiscal year results, representing the eighth consecutive quarter of profitability and we are now starting to see the top-line head in the right direction as well. And as we noted earlier, with the current valuation metrics, other substantial upside as we deliver moving forward. And I’d like to ask Shaun to come up and talk a bit more about our technology and the markets that we serve. Shaun? Thanks, Mike. So in our business, we’re just focused on microwave and radio technologies, microwave and millimeter-wave. There are various things that drive our technology investments and mostly, it comes from cellular networks and keeping up with the demand that is created within those environments. And going back a few years, as Mike said, when we were looking at how to refocus the company and the things that we would invest in, we were in the middle of our 4G phase at least in the North American market. And I will point out we have yet to see the 4G phase and our international business to roll out. But one of the things that was important to us then was to have a value proposition that allowed us to be more relevant in our customers’ networks. And for us that meant investing into the networking protocols that went behind the microwave technology that we’re using. A very much TCO play, if a customer has to invest in both IP networking technology and in radio transmission technology, rather than invest in two different companies with solutions and those we decided to a proposition together. They integrated those together and gave them a much better TCO play. For us, that helps to protect the revenue base and what we sell to those customers and for those customers that gives them something efficient and space saving on good value for money. So, we focused there in that phase. The latest refresh we’ve been going through and all of our technology has been driving capacity of microwave to the next level. So, the other competing technology for transport in these mobile networks and other networks is fiberoptic. And the game plan we have is to check as to a lot of the customer to check the boxes of when to use microwave, when to use fiberoptic. So, if microwave cannot meet the capacity requirements, the decision’s already made. You go with fiberoptics. But as long as you can keep pushing the curve of capacity, capability and microwave and millimeter-wave higher and higher, you take the capacity question off the table and now you’re back to can I get fiber there? Or can I get it there on time? And can I get it there a realistic cost? And that’s when you check those boxes and say, well no, it’s on like microwave and millimeter-wave or wireless in general is a good option for me. Notwithstanding that as we went to the 5G, you’re – on the density of these networks is going to increase fairly significantly. One of the things we’ve noted is that while the cost of the technology will continue to drive downwards. The deployment costs will not, unless you do some other things to support the deployment side. So, they’ve analyzed the challenge for us to create more automation in and around how we plan for these networks to be built? 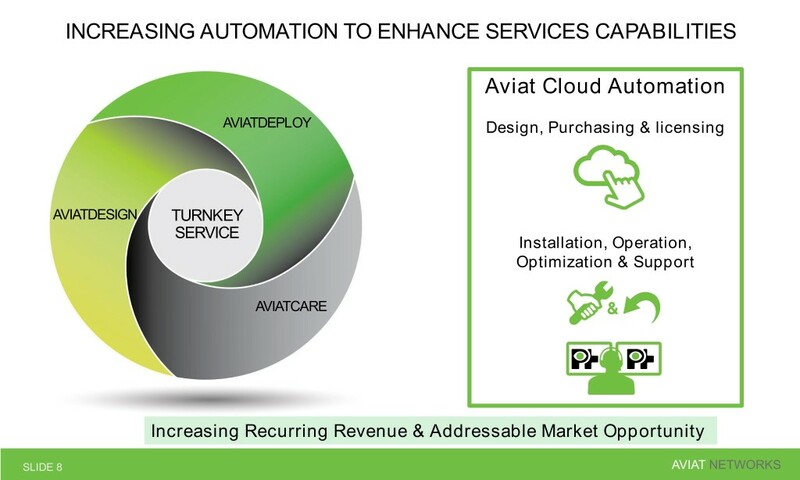 How we deploy the networks and how we support the networks and then integrating that with a largely software play to create the automation capability will keep the cost of that reasonable. So, those are the things that are driving the technology that is core to all our products that we put together. And thereafter, we look for other places to repurpose those products, other markets, other market verticals and used cases. We package all of that stuff into these various boxes. On the left hand side of the chart, you’re looking at units effectively take data coming from a variety of sources that the customer has, whether that’s a base station or some kind of public radio, public safety radio system, data servers, whatever it might be, video servers, and we take those digital signals and we’re going to process those in a number of different ways into a signal that can be transported over radio. And then in this picture here, the middle section is our radio products and these operate in microwave radio frequencies all the way up to the millimeter-wave band. And the packaging unit is really different looking and had done a number of different ways, but the core ingredients that are in these products are essentially the same. So, we use highly integrated RF silicon devices, a highly integrated modem, digital signal processing devices, a lot of software lying on top of that. And then we integrate into these various packages. One product that is on this list is new to us as, so it’s a company that we didn’t offer before, the one we call WTM 4000 on this chart, were essentially packaging all of the stuff on the left and all of the stuff in the middle into a single element that goes directly onto the back of the antenna in our application. And it’s essentially forms and all outdoor fully enclosed solution, which includes both the data, Ethernet interfaces on the radio. As appealing to some number of service provider customers as they’re evolving to try and reduce the footprint they have on the grounds, the amount of real estate that they’re supporting. But also there’s a class of customers we’ve not typically addressed in the past. These are smaller rural Internet service providers, some called WISPs, so wireless Internet service providers, and this is a category of product these guys particularly like. So, we’ve actually introduced this product to them and they normally buy through two layers of distribution channels. We’re cutting out one of those layers. We’ve automated the front end of the design process, so that it can go online, design a solution, order this product from us and then we will deliver it directly to them. So, we see that as a small, nice incremental and growing market segment for the company, especially here in the U.S. And then behind all of that, we have fully capable software solutions for the network management and operation, some of which we sell directly to customers for them to use for themselves and some of it we implement by offering a managed network service through our own network operations center in the U.S. So, having had all the technology elements and then packaging them in different ways, then it opens up that various market segments and use cases that we can sell these products into. So the primary use case here is that you’ve got two nodes in a network, you connect them together for the wireless connection through the air. I mentioned mobile being one of those applications connecting base stations together. That is the largest application on a global basis. For our business in North America, we actually do much more business towards what we call private networks. These networks owned by utility companies by states for state and local government networks, which are largely used to support public safety communications, first respond to networks and emergency services. Philippines, there’s a reason for that and it’s because of the fit of this technology versus optical fiber and that kind of a network. From an evolution standpoint as we move towards millimeter-wave spectrum. 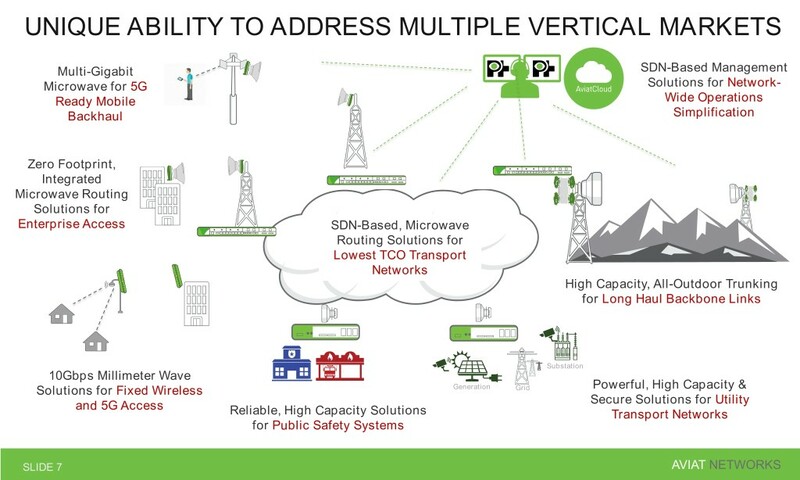 We can get much, much more spectrum to use in each application and we can deliver much, much higher throughput or bandwidth over these connections. So, as the world gets more dense in terms of network nodes, the capacity nodes goes up, the profile of the product that we will deliver will move gradually from lower frequency microwave all the way up into the millimeter-wave frequency bands. Mike touched on the idea that services is a key part of what we offer. One of the views we have here is that the technology expertise within the customer base on this type of communications technology isn’t on the increase. And in an effect over time, it’s got to decrease as customers get more software-centric themselves. So, the opportunity for specialists in this area is actually increasing. So, being able to provide design support all the way up front, all the way through deployment and then into long-term service and support is an area, where we have created, I think some new value for the company, especially again, in our North American and our private networks business. But whenever we’re performing those kinds of services, this is where we see the opportunity to use more software design, more applications development to make ourselves more efficient, potentially make our customers more efficient, but they essentially ask and we can automate there’s a manual task, we’ll allow us to deliver these services on a more profitable basis going forward. And as we’ve done some of this and as we’re moving into a few new areas, we are seeing increasing opportunity for services, which will have some recurring revenue potential to them, which is another thing we find attractive, because we get in the long-term support of the networks that we deploy, the services we deploy there we can generate high margin on those services. And anything that looks like is going to have a recurring services capability for us. We find attractive. And so we’re spending the time and effort in those areas. 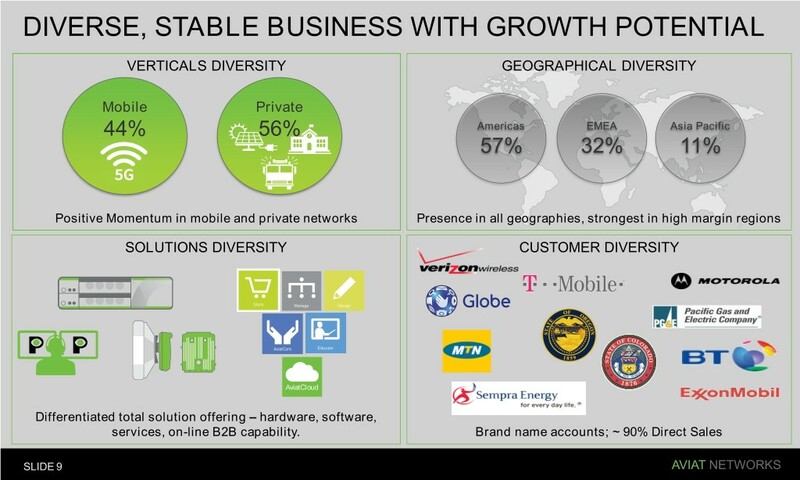 From a global perspective, our business recently about a little bit less than half of it is being conducted with service provider customers in the mobile backhaul arena and more than half of it is being conducted in these various private network verticals. You can see from a geographical basis that we’re fairly highly skewed towards the North American market, as Mike mentioned, as we’re the only microwave vendor that is actually U.S. based and significantly serving that particular part in the market. In the Rest of the World, we have a very strong presence in Africa, good market share there. And in Asia, in this case, we’re talking about a number of markets that are significant to us, but it’s places like the Philippines, South Pacific islands, and number of other places. We’re actually not doing business in one of the largest markets in Asia, which is India, obvious, not commonly present in those markets. for our product from these customers. But we also have a variety of private network customers that are behind a lot of the business that we do in these other verticals. We’ve had some good momentum. 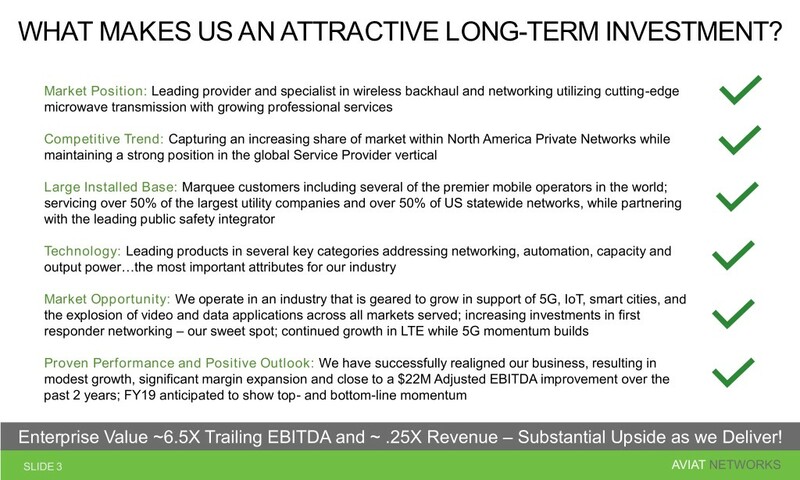 In some areas as we’ve refocused the company to invest in our private networks business in North America. And in terms of growing the company, this is a market that’s got modest potential growth in it, but we have the ability to actually take share in this market and we’ve demonstrated that over the last two years or so. So, a number of these statewide customers for us represents a long sales cycle, but once the securities and networks that is going to take us two to four years to construct. We’ll receive the business in phases of tranches, but the selection of us as a vendor has already been made. State of Nevada is a multimillion dollar contract that we won, State of Colorado, large statewide contract that we won on these upcoming phases, a fairly substantial over time. 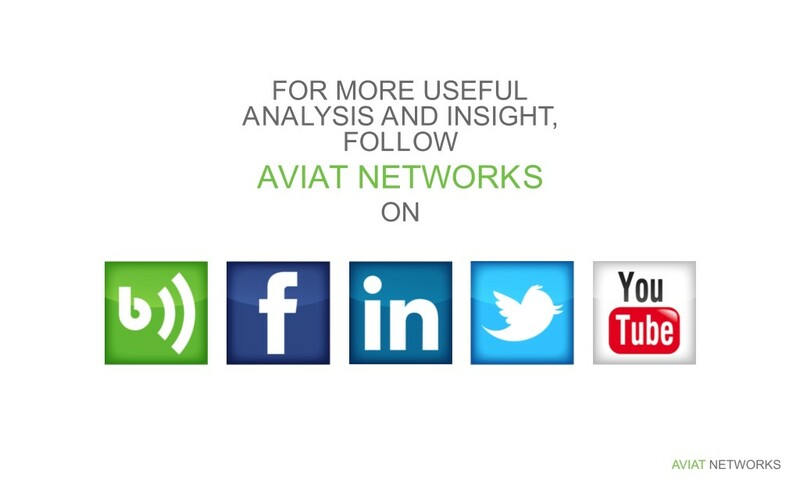 In both cases, those were not previously Aviat Networks customers. So, this is some evidence of the momentum that we have in terms of taking business from incumbent suppliers to this market that we’ve been challenging for the last couple of years. And on a little bit more recently, we announced that we won a project with the State of Florida. We have not yet received the business, the purchase orders for that we have been selected the primary contract in that case as Motorola solutions, who have also been selected. 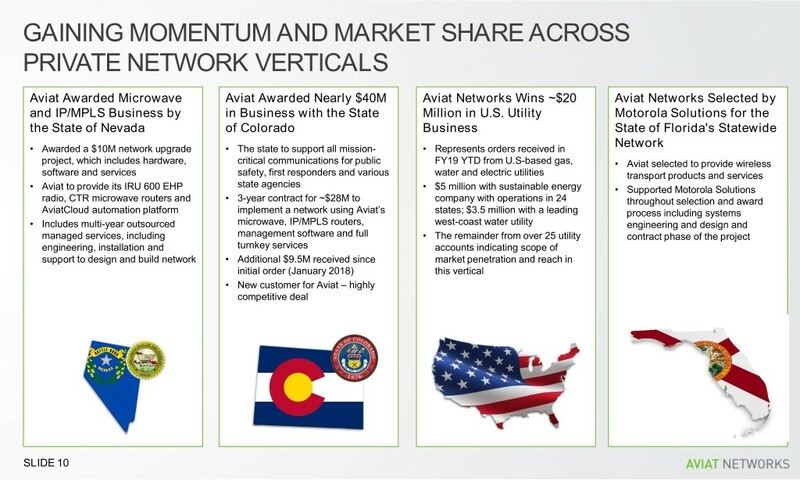 We also marked in here the utility networks in the U.S. and in part, because in the beginning of the year, we generated some fairly significant new orders from a number of utility customers in North America. All told the momentum, we have the proceeds private network verticals is very positive for the company and is what’s behind some of our positive outlook on how we see the business going forward. And with that, I’ll turn it back to Mike. Thanks, Shaun. Okay. 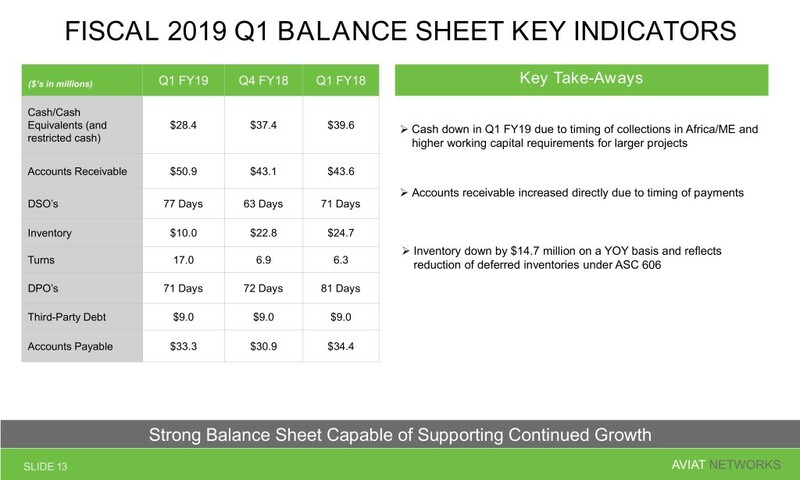 Just a couple of few slides around our financials. We reported our fiscal first quarter results, we’re on a June year-end fiscal year in the mid-November timeframe. We were pleased to report top-line growth, particularly fueled by strength in our international business year-over-year. Also pleased that we had another quarter of profitability on an EBITDA basis. However, we did have a lower mix of business in North America, has an impact, when we have a lower mix in North America on our gross margins, which flowed to the bottom line. And we do expect our North America business to be much stronger in the second quarter and that will also have a positive effect on our expectations for margins and profitability. that we would expect to see our cash improved throughout the course of the year starting with the second quarter, which we recently have completed. 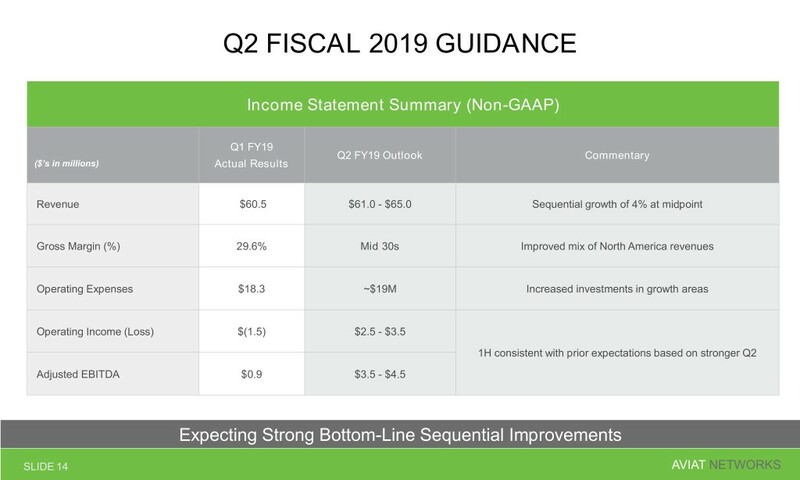 So, in reference to our second quarter and turning to our guidance; as stated, we were expecting a much stronger second quarter as you can see here, everything from the top line all the way down to profitability. Based on our preliminary results for the second quarter, I’m happy to report that we expect to be within the range of all key financial metrics we provided. 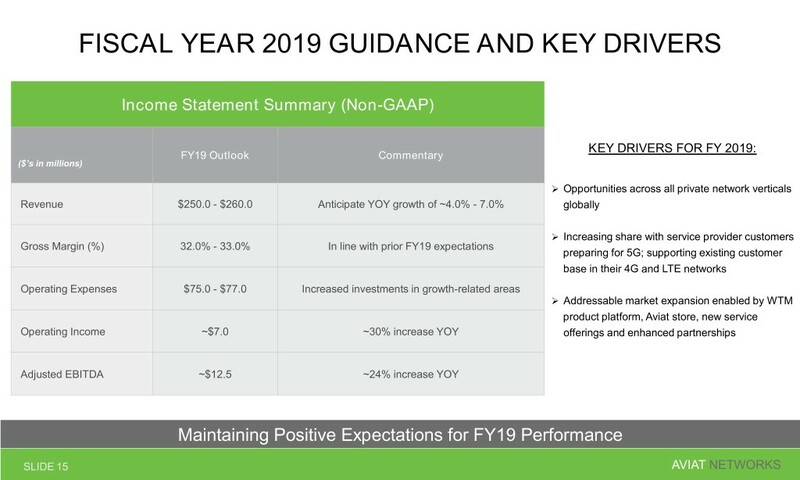 We also expect to be in the upper end of our revenue expectations, which then would put us comfortably in the zone or the range related to our bottom-line guidance. We also had ended the quarter with an increase in our cash balance as we expected. And we’ll provide more color when we report our second quarter financials in the early to mid-February timeframe. 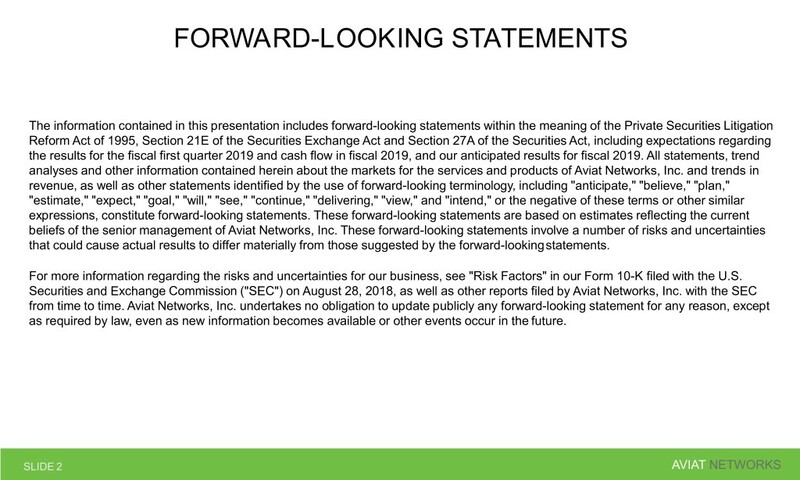 This was the full-year guidance we provided on our November earnings call. As you can see here, we do anticipate year-over-year growth in both our top and bottom lines. We’ll continue to optimize our investments with a bias towards investing more in growth-related activities. 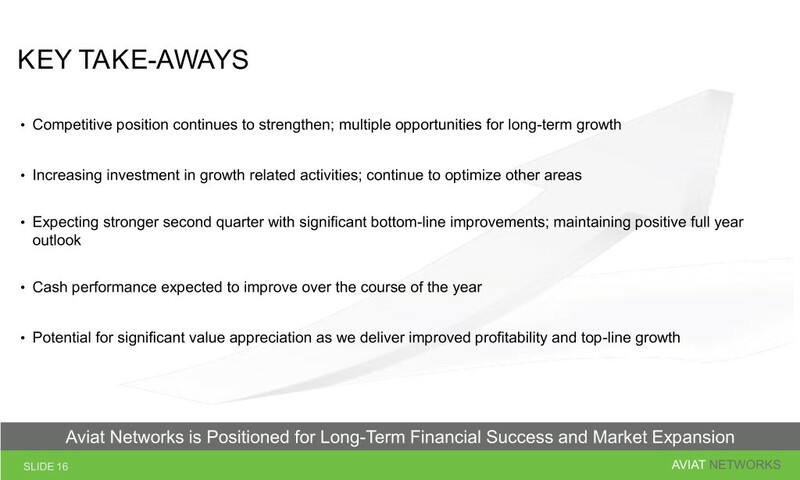 So in summary, the key takeaways, our competitive position continues to strengthen. There’s a number of opportunities or catalysts for growth. We continue to invest more in growth-related activities. Our second quarter was much stronger than our first, as we expected or expected to be based on our preliminary results. Our cash performance, again, expected to approve through the course of the year. The second quarter is a good example of that, or at least an indicator that we’re heading in the right direction and as we deliver on our plans, the potential for significant value appreciation continues. With that, we’ll now open it up for questions. 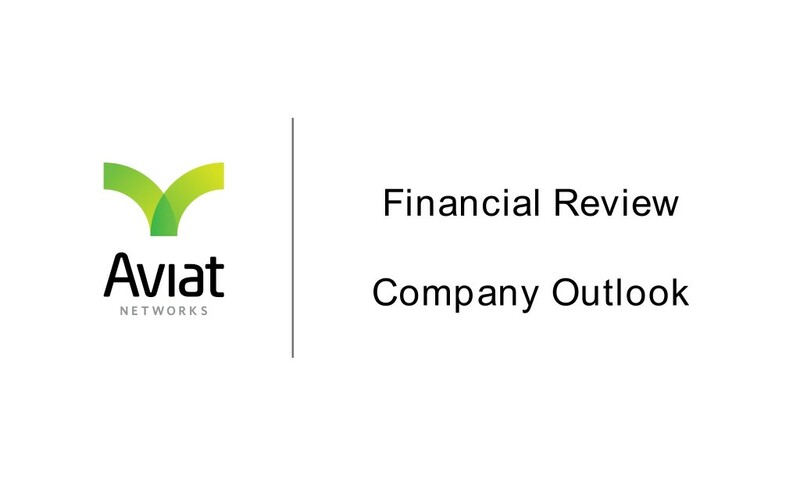 <A – Michael Pangia>: We just made the statements right now regarding an update on our second quarter guidance based on our preliminary results. <A – Michael Pangia>: Sure. Okay. So, our second quarter guidances is what we provided on our call in November. 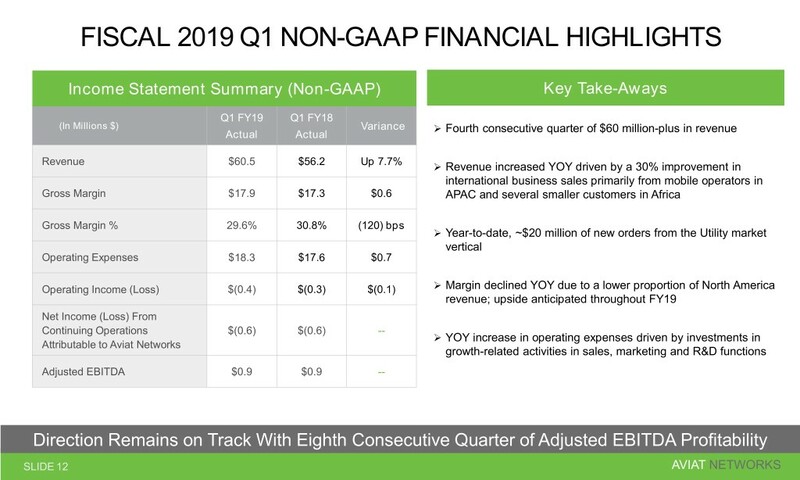 Based on our preliminary results for the second quarter, we are happy to report that we will be in line with every one of these financial metrics and from a top-line perspective, skewing towards the top end, which puts us in a comfortable position when it comes to our bottom-line expectations. <A – Michael Pangia>: Thank you. <A – Michael Pangia>: No. There hasn’t been anything from a negative perspective related to the shutdown. Most of our business is focused in at the state wide level as well as municipalities, local government and that business continues to be strong. We did indicate that we have continued strength as we look at our fundamental opportunities moving forward. It is a long sales cycle on those private network verticals. And so we have a pretty good indication of being selected, but it’s a timing associated with when we actually get the award that’s the challenging part at this point in time. <A – Michael Pangia>: Sure. Shaun, once you provide that. <A – Michael Pangia>: Yes. Come up here and do that. <A – Michael Pangia>: Okay. So, I’m sorry. Yes. We’ve been doing a major refresh on our radio portfolio in particular over the last two and a half years till today. 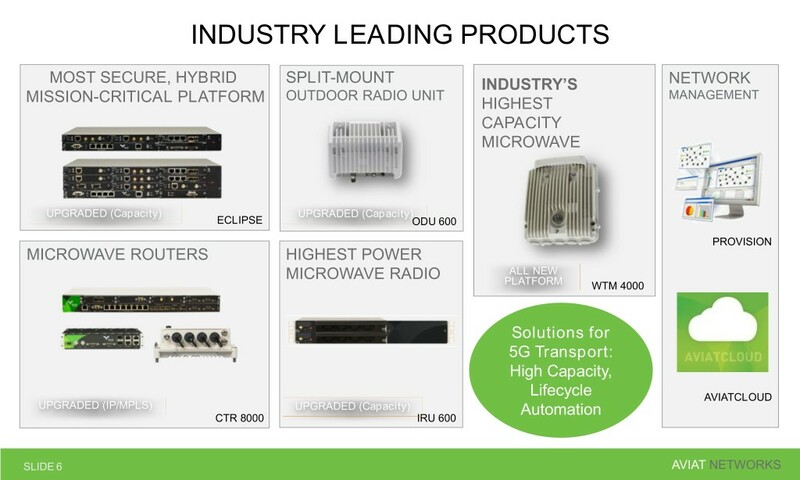 So, we’re nearing the end of the rollout of a whole variety of new radio products that are based on the latest chip set technology that we introduced, and this gives us the highest capacities that we can achieve with the microwave technology too much of anybody on the market and we can repackage that into a variety of different form factors. It does a few things for us. It gives us some new product entrance, which I mentioned along the way also helps us to improve the cost profile of our products that we target after an installed base. So, double benefit for the new platforms. <A – Shaun McFall>: All outdoor product. <A – Michael Pangia>: Yes. mentioned, where we’re seeing some – some good early success, small, but since these have never been customers before. This is – we see that as a positive trend. <A – Shaun McFall>: From a portfolio standpoint, I think we’re very well equipped. In terms of how those decisions will get made post-integration, I don’t think we’re really in inability to sell although we are a supplier on one of those two accounts. <A – Shaun McFall>: Yes. So, the degree to those financial vehicles support deployment in Israel scenarios that generally got trickled down effect to where we would see customers benefit and buying product. So there’s many of them. I mean there’s lots of different funding vehicles to get support for rural broadband. What they’re exactly used for is that case-by-case basis, but generally as a positive, positive for us as we haven’t really participated in that market until very recently. So, it’s just new for us. <A – Michael Pangia>: and we are developing some solutions that would include some third parties associated with addressing that market as well. <A – Michael Pangia>: I wouldn’t say necessarily anything new. I think we’d been going through some macro challenges within Africa for quite some extended period of time. And I think the fact that we’ve been able to continue to deliver the results that we have with that background as a testament to the strength that we’ve had and our position with our customers continues to be strong there. So, I wouldn’t necessarily say it’s gotten worse to some extent as it relates to our largest customers, somewhat stabilized in the last couple of months. <A – Michael Pangia>: Yes. There’s – I would say there’s several accounts that we’re in, where we are sharing a position with them as it relates to the microwave side. I think if anything, it’s creating a lot more awareness around the potential risks associated with depending on one of those providers. So, I say if anything, it’s probably helped us from the standpoint, we’ve been consistently a very stable and strong provider to all of our customers related to service and how we conduct business. flexibility and our lead times also our industry leading with respect to meeting our customer’s needs. Yes. <A – Michael Pangia>: If it’s an existing customer, I would say it’s super, super high. Our retention rate is very, very high. As it relates to going after brand-new business, let’s just say starting with the international service provider’s side, it’s probably difficult to quantify, because there has not been that many RFPs recently, that would be worthy to bring forward. Obviously, the win rate there would not be as high as our retaining or existing customers. And part of the reason is that one of the values that we provide with existing customers is the ability to reuse our technology, backward compatibility, forward compatibility. So, once we’re in the customer and all service capabilities are also very strong. It’s difficult for a customer to fully see that value, if they’re not an existing customer of ours. And then the other thing I’ll add is that in some of these RFPs with Tier 1 operators, there’s still a bias towards lowest price rather than TCO. And that’s sometimes makes it difficult for us if we’re not an incumbent in those accounts. on the private networks vertical, in the U.S. in particular, I would say that our retention rates through the roof and our win rate when we’re going head to head against an incumbent is probably – it’s probably 50-50 in terms of us winning versus not. So, we’re definitely got to a much better penetration rate in new business in the U.S. private networks and we’re showing that some of the examples we shared earlier, we’re at major wins, where we were not the incumbent. <A – Michael Pangia>: State of Florida, State of Colorado, State of Nevada as examples. <A – Michael Pangia>: Well I think, I think in this – this is probably the best statewide public safety RFPs, probably one of the best ways to highlight the differentiation you have, because it’s as open a process as possible. I mean it’s – everything is in the available, they have to justify the decisions. So it’s the – probably, the fairest view of a TCO decision that can be made plus the decision, the impact I’m making the wrong decision for a mission critical application is significant and I think our track record in our performance that area is reflective of how strong we are when it comes to technology and services. Yes. we probably introduced that part in that 13, 14-time window. That’s going very well. I mean that’s actually one of our mainstay platform for global business and if anything, we’re seeing the opportunity continue to invest and make that platform stronger. So, there are – yes, there’s evolution in our roadmap around those platforms, so that it’s actually going very well. <A – Shaun McFall>: Yes. I wouldn’t call anyone competitive directly is the reason for that. It’s more, it’s more – we were very careful when we introduce that type of a platform that, for example, the RF installed base that we already have with our existing customers. We were able to reuse that. So, we’re not giving the customer a good reason to want to replace everything was there before was something completely new for both radio and networking. We’re giving them a new networking solution to go with existing radios and then now we’re giving them new radios that go on top of that routing platform. So, it’s a more iterative way of evolving the solution, which is more why we did it that way. And incorporating that routing capability really was a choice between that and a standalone routing solution from another vendor. So, there’s more to not vend than it was about targeting one competitor over another. <A – Shaun McFall>: Yes. So, I’m not sure any of us are really in a great position to give you a timeline on a big impact to 5G necessarily. Why we’ll say is that as we present an offer, the most capability we can in terms of the capacity, the frequencies, the capabilities of the product. We’re pretty confident that customers are taking that into account already in anticipation of what they think they will need for 5G. So if they were to do, for example, if they’re thinking ahead to 5G and they don’t see those capabilities, I think that would work against us. So, I’ve put that we’re really positioning ourselves for whenever they decide to accelerate their spend. I’m not sure on a – the reference on the antenna side. <A – Shaun McFall>: We’re looking at it from – around all of the deployment challenges. But a lot of that starts at in terms of where to locate the equipment, how to do the planning aspects, how to cut down the cost of actually physically going out and visiting every location to do some of those things. That’s probably more what those are all software driven service enablers that we’re working on. I think maybe we talked about as we go down the road towards other millimeter wave technologies we see, for example, steerable antennas electronically, steerable antennas will be – will be of interest. But that’s not reflected in mobile shipping at this particular point in time. 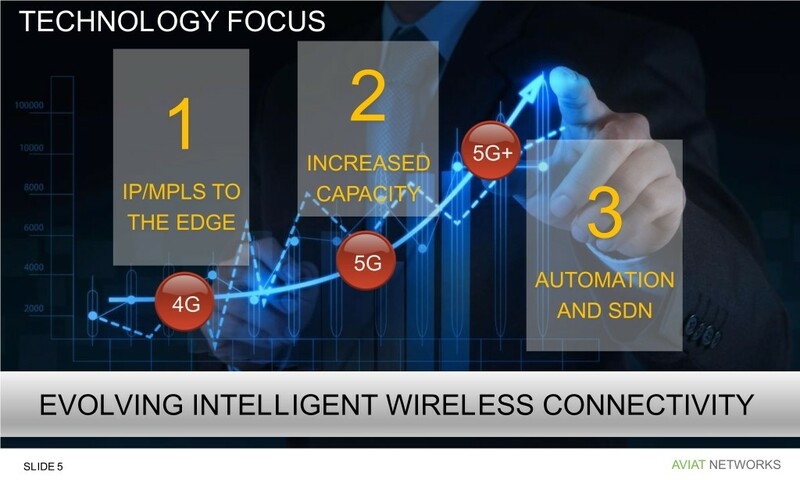 <A – Michael Pangia>: Yeah, I just – and I just think from a financial perspective, I don’t think 5G is necessarily going to be like – for us, like a one-time peak and then the drop-off. I think we’re – we’ll see an improving profile associated with it. But for us also in several of our large markets internationally, we’re seeing the benefit of them rolling out 4G LTE and in particular in the Philippines, it’s one of the drivers on why Globe has become such a big customer for us. <A – Michael Pangia>:Yes. Recent CapEx numbers, I’ve seen some fairly healthy projections from a couple of players as we mentioned, we’ve seen CapEx challenges for some of our customers on all other markets, but not specifically around 5G. There’s no doubt that there’s got to be fairly significant network investment. But they also have to be able to deliver new and differentiated revenue services in order to justify that as well. So, there’s kind of a – I see that ping ponging back and forward a little bit, but we definitely see some early signs of investment pending in that. <A – Michael Pangia>: So, I think our CapEx last year was around $6 million in our last fiscal year. It was actually for us on the higher end, because of all the new products that we’ve introduced. I think more – I think normalize more like five, probably four to five would be more of a normalized way of looking at our CapEx expectations for the next couple of years, not withstanding any significant growth above and beyond what we’re seeing things. You’re welcome. <A – Michael Pangia>: Yes. I did not provide an update on that today versus what we showed. <A – Michael Pangia>: Yes. The guidance for revenue was $250 to $260 for the fiscal year and EBITDA of approximately $12.5 million. You’re welcome. Any other questions? Great. Thank you for your time and I appreciate.